Where does Cancer Pain come from? One out of three people undergoing cancer treatment experience pain. The number of people experiencing pain increases dramatically when cancer reaches the advanced stages. The pain may be dull, aching, or sharp. The severity of the pain can range from mild to very severe. The pain can be caused by the treatment or as a direct result of the cancer, such as a tumor putting pressure on a nearby nerve, organ, or bone. Cancer pain is often very well-treated with conservative care and oral pain medications. Opioid narcotics have been used for centuries to treat pain and many patients experience relief from their cancer pain because of this type of drug. However, this is a significant percentage of patients that continue to have pain despite aggressive care with oral medicines. There are good pain management options to care for these types of patients including epidural catheters, nerve blocking techniques, and implanted spinal pumps. 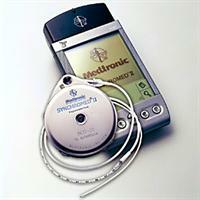 For more information on the implanted spinal pump that PMA uses you can visit http://www.medtronic.com/our-therapies/drug-pumps/. If you or a loved one are experiencing cancer pain and live near Fort Wayne, then we may be able to offer you relief. Talk to your personal physician and one of the specialists at Pain Management Associates about improving cancer pain.